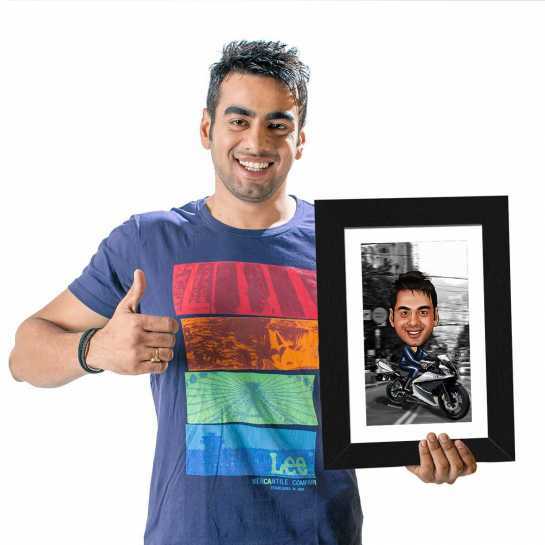 Gift the birthday boy with this sleek biker boy illustration and let him know how much you care for him. The interesting paint work of the cartoon illustration is complemented by the fresh color combination. This template shows a cute biker boy in a very happy mood roaming all around the city. It is a black and white portrait with only boy clothes as the colored thing. Even the background completely compliments his personality and provide an attractive look. Do you have a friend, cousin or colleague who is crazy about the bikes and never miss a chance to ride it? If yes, then what about gifting this funny, yet awesome caricature this birthday, Diwali or any special occasion. He will find it much better than the traditional boring gifts for sure. On the other hand, you can gift to your husband who is mad about the bikes and always talk about them. 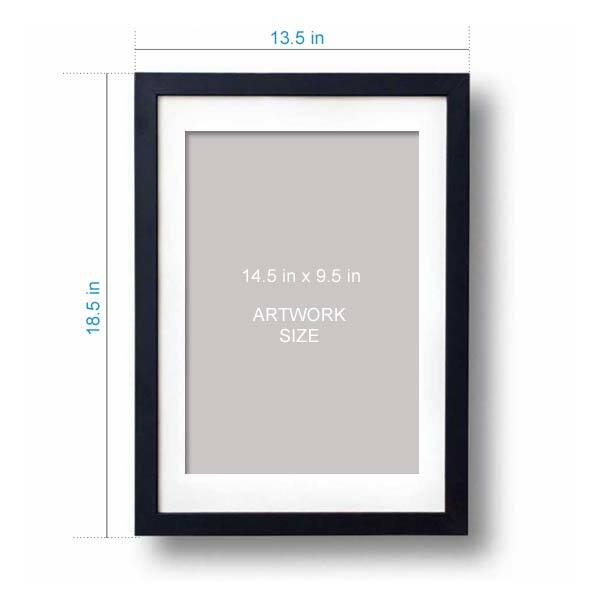 This photo frame will always remind him of his passion and give a cute expression about which you always wish.